Property no. 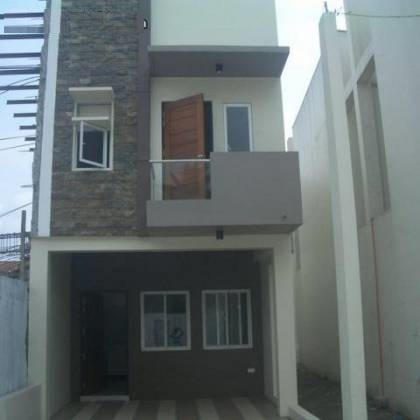 023 House and Lot in quirino Novaliches Quezon City RFO Price: 4,604,857 Lot Area-80.86 Floor Area-89 2 Storey 3 Bedrooms 2 Toilet and Bath 1 Car Garage Inside subdivision Flood Free Area 24hrs secured 25% Downpayment 12 mos to pay Balance thru bank, Pag-ibig or Inhouse financing walking distance Comml Establishment ,transportation You may also visit our Facebook account at Fortunerich Realty. For Inquiry, viewing and tripping assistance, please call: landline: 3 3 0 2 3 36 / 2 8 8 4 3 1 3 / 3 3 0 2 3 0 6 Or Email us @ fortunerich_888@yahoo.com note: DIRECT BUYER ONLY!! !